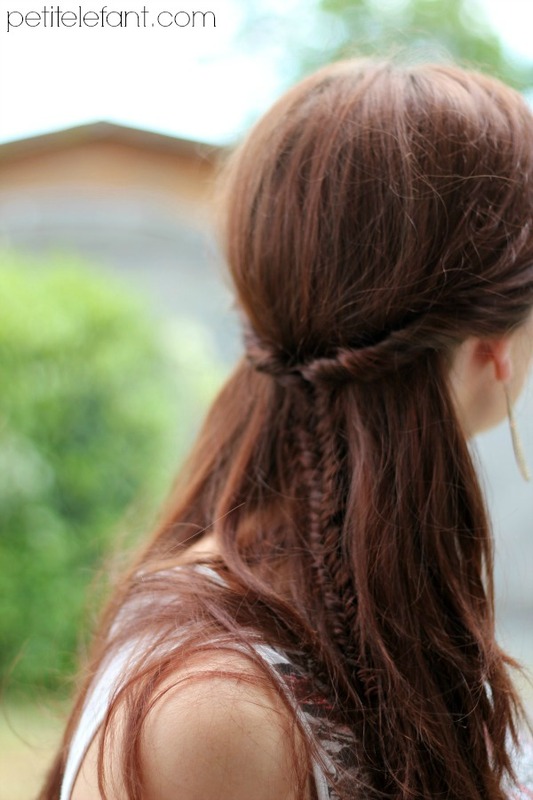 If you’ve never tried a fish tail braid before, today’s the day! I think every gal should have one good braid in her hair styling arsenal: French braid, traditional braid or otherwise. Especially because Summer is nearly here with all it’s relaxed styles, balmy afternoons and beachy vibes. And I love it. As you might have guessed, I’m a big fan of simple. Simple hair, simple outfits. I am a mom of two boys and I want to be cute and feminine but I have to be practical as well. 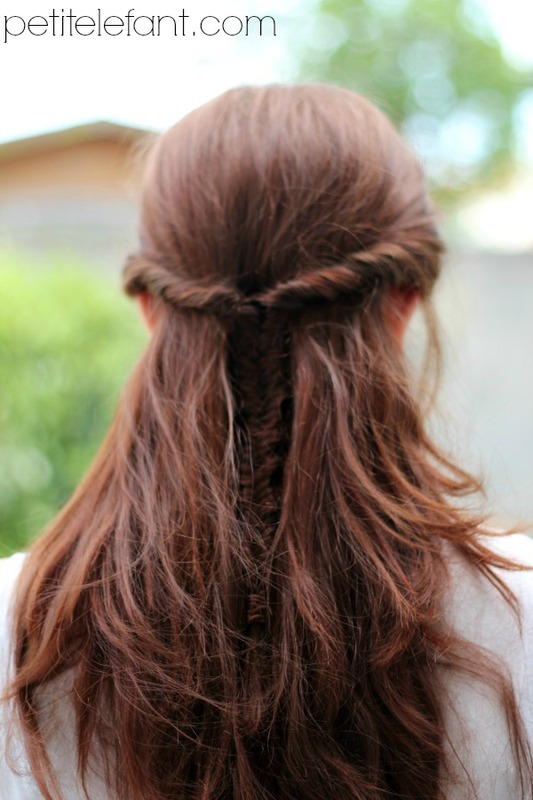 This braided style fits the bill whether you are going for casual or romantic. It’s a half up fishtail braid that takes 10 minutes, tops, and it’s great for styling quickly when your hair is still wet. Any style that eliminates the hair dryer on a hot day is a keeper in my book. Let me show you how it’s done! That’s it! I might even consider the mousse optional, it’s mainly just for extra volume but the braid works without it. I start by applying the root lifter and then the mousse while my hair is damp , preferably right out of the shower. Then after it’s dry, I use the teaser comb to get some volume at the roots all the way down to the nape of my neck. Since I think it’s easiest to learn by doing, follow along with the tutorial in the video. I have a YouTube channel where you can find lots of fun hair tutorials and such. I hope you’re inspired to try this simple summer style! Have a great day! Fishtail braids! I soo love the hairstyle. <3 But I'd still prefer to use a hair dryer in styling my hair, specially if I'm using a Karmin Salon Series hair dryer.